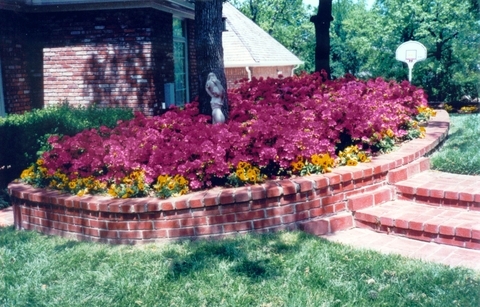 Karla's article on "Memorable Spring Images" reminded me of the springtime in North Texas. To Hilda and me, that means azaleas, azaleas and more azaleas. Our home in Arlington literally looks like it’s on fire with the brilliant reds of the azaleas. 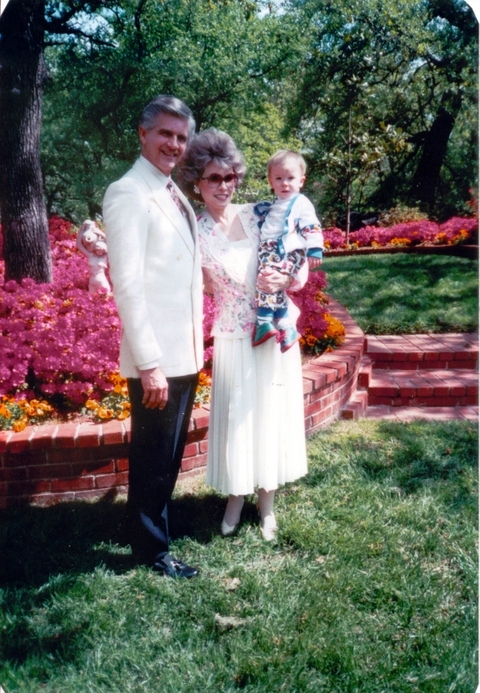 Here is a photo of us with a young nephew amongst the flowers in our back yard. 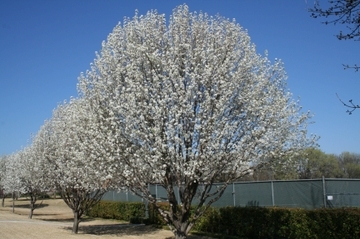 The spring also brings out the beautiful white Bradford Pear trees. Hi Charles & Hilda, thank you for sharing such a beautiful yard with us. I too love beautiful flowers since my Mom had a love for a beautiful yard and flowers. 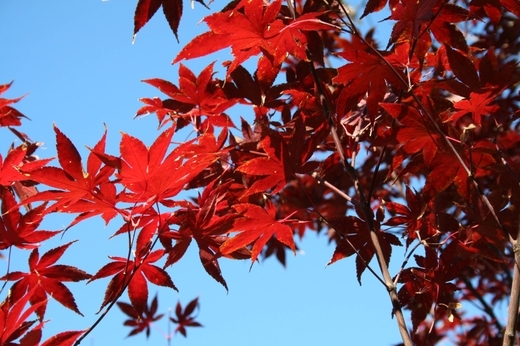 Your home and yard is very pretty from what you have shared with us. Thanks again for sharing the beauty of your life and family. Bo is doing fine after this last surgery April 1 He had a brain tumor quite deep last April 2007, and then they found he had fluid on his brain this past November. A permanent shunt was put in on April 1, so this should be all the surgeries on this problem. Thank you for your concern and prayers during this time. God does, and has answered prayers for his recovery. Thanks so much for the beautiful pictures. I really miss my azaleas, but here in Colorado, it's just too cold for them. We do have other blooming trees, though.